Welcome to Begbies Traynor on the Isle of Wight. We are a group of licensed Insolvency Practitioners and business rescue specialists based in Newport. 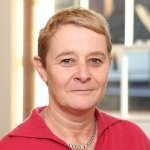 Services offered at the Isle of Wight offices of Begbies Traynor are led by Julie Palmer, who is a regional managing partner within our national organisation and a leading corporate insolvency expert. Julie has an enormous wealth of specialist skills and experience and she leads a team of highly dedicated and knowledgeable insolvency practitioners. Areas of expertise covered by our team on the Isle of Wight include all matters relating to company voluntary arrangements (CVAs), company administrations, receivership situations and liquidation scenarios. Begbies Traynor representatives work closely with company directors and management teams at businesses across a broad range of industry sectors. Begbies Traynor offices are location in towns and cities across all part of the UK, including in Southampton, Portsmouth and Brighton on the South Coast of England. We also have numerous offices in the South East of England and in London. If you would like to speak to one of our experts on the Isle of Wight then we will be happy to help and to discuss your circumstances at an initial consultation. From there we can begin to outline the most viable options available and pinpoint what key decisions need to be made. We understand how challenging it can be to lead a company facing financial crisis and the prospect of insolvency and we are always conscious of the fact that no two business recovery or administration scenarios are precisely alike. Contact our Isle of Wight office any time to arrange your initial consultation.